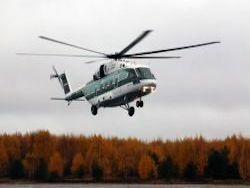 On the 7th International naval salon (MVMS-2015) which passes in St. Petersburg from July 1 to July 5, 2015, holding «Helicopters of Russia» of State corporation Rostekh represents the project of renewal of production of the unique amphibian helicopter of the Mi-14 type. 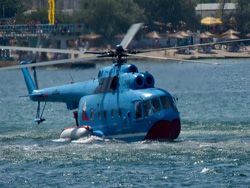 It is the multi-purpose helicopter, which can приводняться, drive on water and fly up from a surface of the water. Helicopters of the Mi-14 type of development of the Moscow helicopter plant of a name of M.L.Milya were issued at Kazan Helicopter Plant from 1973 to 1986. 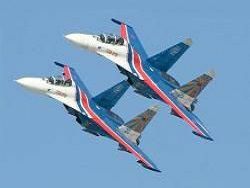 Now both enterprises are included into holding «Helicopters of Russia». In the presence of interest from potential customers the holding is ready to upgrade the amphibian helicopter with application of modern development and to renew its production. This helicopter can expand considerably possibilities of rescue and emergency services, and also find application in the Navy. Before Mi-14 were applied in Navy and in civil sector in Cuba, in Bulgaria, Vietnam, GDR, Yemen, Libya, Syria, Ethiopia and Yugoslavia. 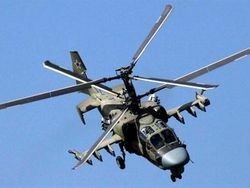 Today these helicopters are adopted by aircraft of Naval Forces of Poland. 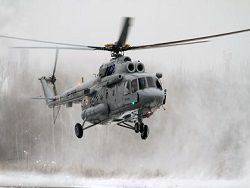 The anti-submarine Mi-14PL option became base model of the helicopter, and since 1979 in a model range there was a tower of mine trawls of Mi-14BT and the multi-purpose search and rescue Mi-14PS version. amphibian helicopters of the Mi-14 type are created on the basis of the multi-purpose Mi-8T helicopter. 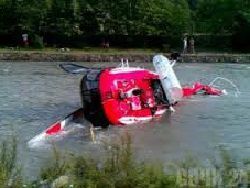 The main constructive difference – installation of the tight boat bottom instead of a power floor of the helicopter thanks to what the helicopter can sit down on water. On each side the boat bottom stable floats which also served as niches for support of the main being cleaned chassis fastened. 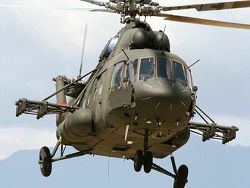 Other Mi-14 systems also were adapted for application in sea conditions, and many decisions put in its design, found subsequently application in later models of helicopters of the Mi-8/17 type, since Mi-8MT and its export updating of Mi-17.